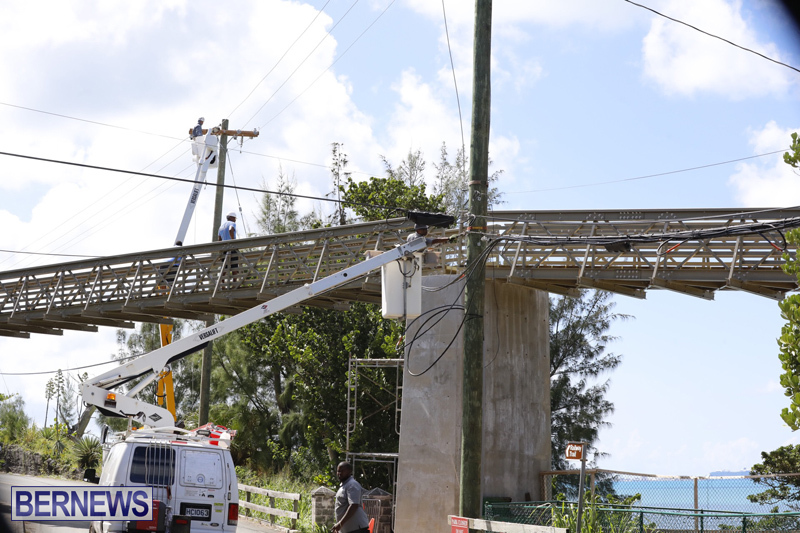 [Updated with photos] The Ministry of Public Works is advising the motoring public that there will be a bridge installed over North Shore Road, Smiths Parish, near Gibbons Bay, causing road traffic detours from today [Sept 17] through Wednesday [Sept 19]. 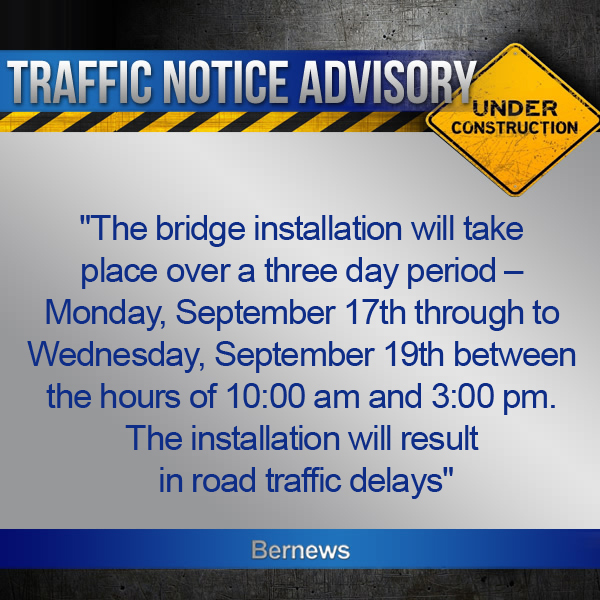 A spokesperson said, “The bridge installation will take place over a three day period from Monday, September 17th through to Wednesday, September 19th between the hours of 10.00am and 3.00pm. 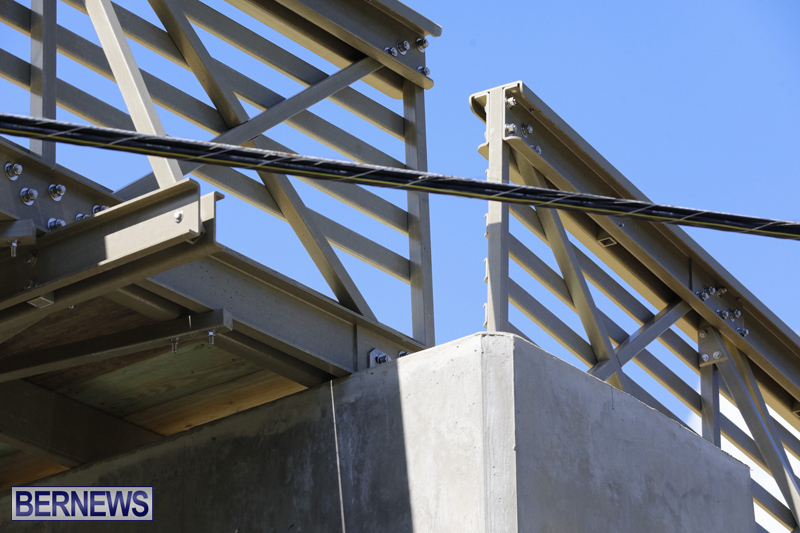 The installation will result in road traffic delays. 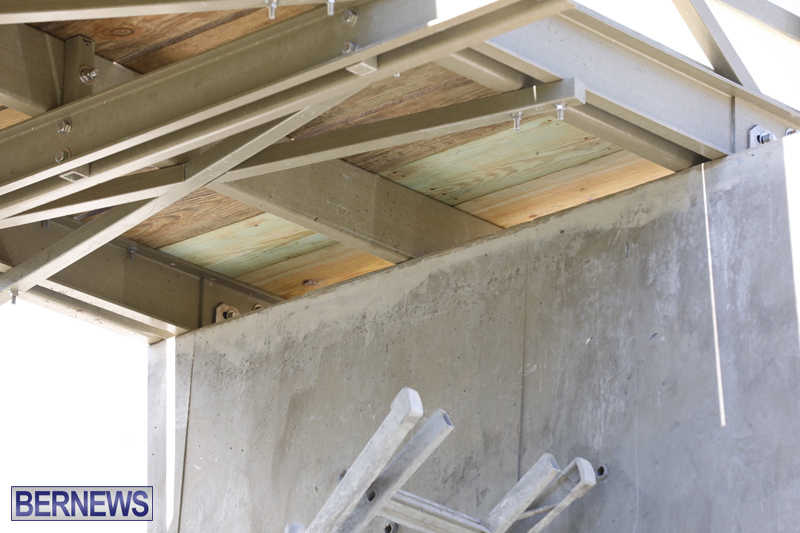 “The Ministry advises that the pre-assembled bridge will be lifted into position by a crane during the road closure, which will restrict the road for normal traffic use. The following detours and closures will be in effect. “All traffic travelling in an Easterly direction on North Shore Road, when reaching the junction with Store Hill; will be directed over Store Hill on to Middle Road for a continued route. All traffic travelling in a Westerly direction on North Shore Road, when reaching the junction with Middle Road; will be directed to Middle Road for a continued route. 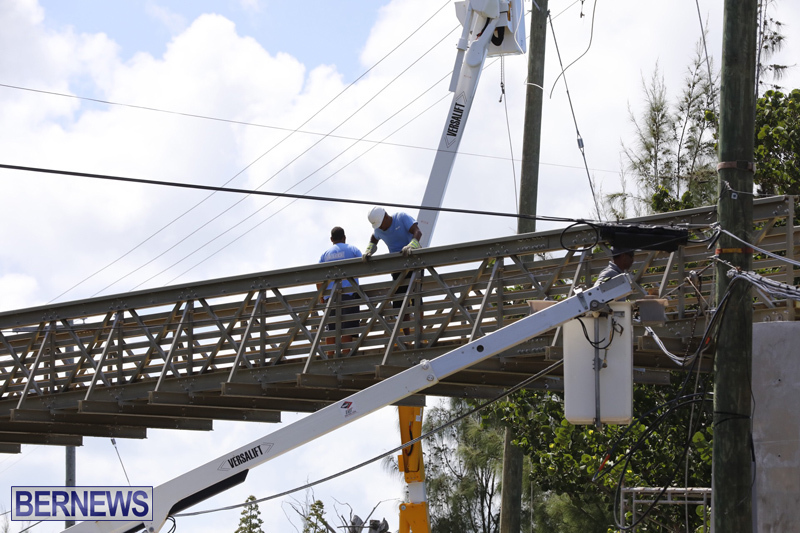 “Flatts Village access will be permitted in a Westerly direction from the North Shore and Middle Road junction. Traffic travelling in an Easterly direction may access Flatts Village from the junction of North Shore Road and Jennings Road. There will be no access from the junction of North Shore Road and Store Hill. 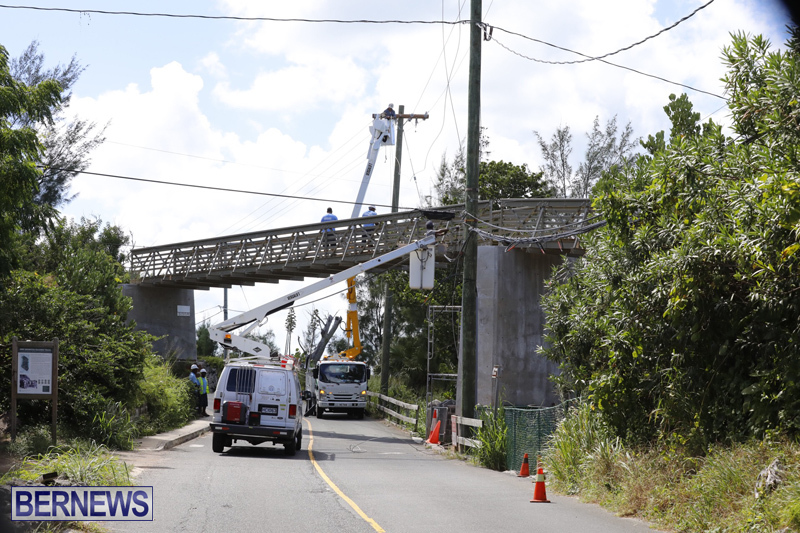 “Bus service on North Shore Road from the Middle Road East entrance of Flatts Village, to the junction with Store Hill will be terminated while these works take place. 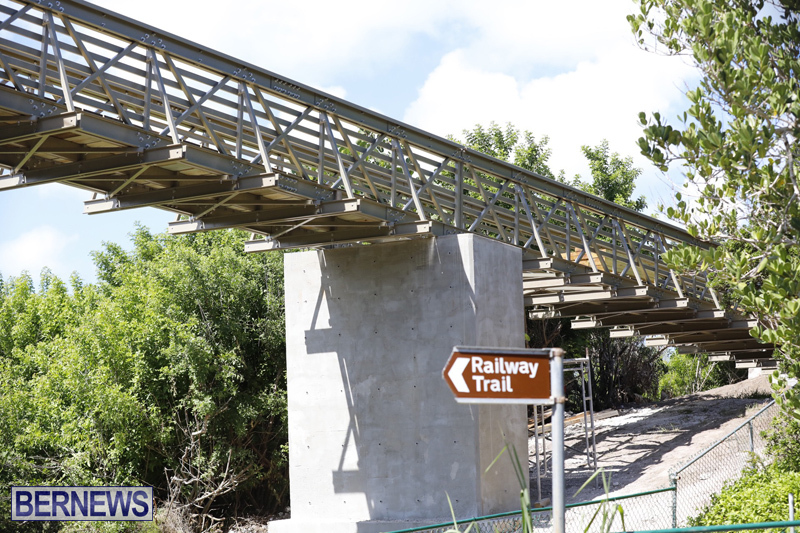 Bus commuters are asked not to use the closed section of North Shore Road during the scheduled times of the works. “Should there be inclement weather, these road works will be reschedule, a date to be determined. This is very exciting to see. Thank you to all who have been making this happen!!! 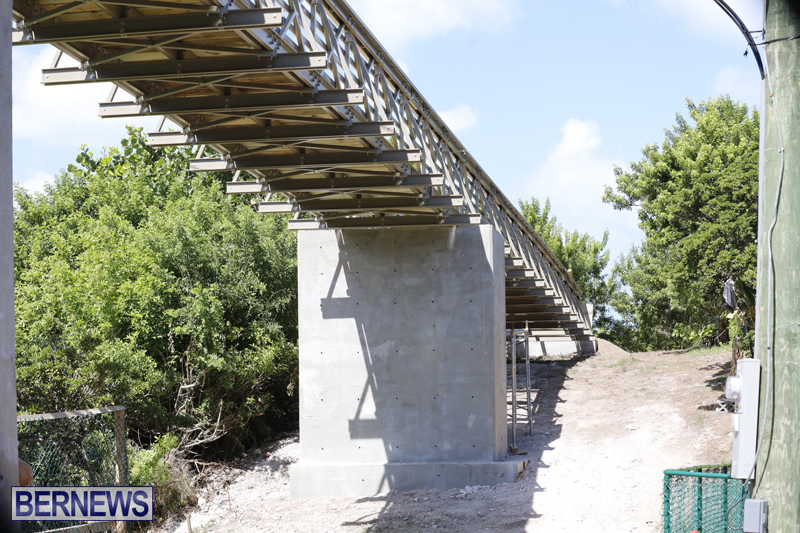 What is the status of the planning application for the crucial bit of the bridge – the section over Flatts Inlet? This section “just” takes you over the road and down to police beach. I looked at the gov planning website but the link of the gov website isn’t working. Try during a full moon in S.E wind. Wait, so this bridge also provides public access to Police Beach? That would be cool. This can’t be W&E. That looks like a six month job for them. Walton’s going to be seriously annoyed that whoever is doing this is taking six month’s worth of work from W&E. The village has become too built up and I fear the same for Shelly Bay Beach, a simple order of fish and chips is now becoming a 3 course dinner. The problem really is the stretch from the Aquarium to the park on the east side of Flatts inlet. There are no pavements and the road is so narrow there that it’s dangerous for walkers, runners etc. ^This. 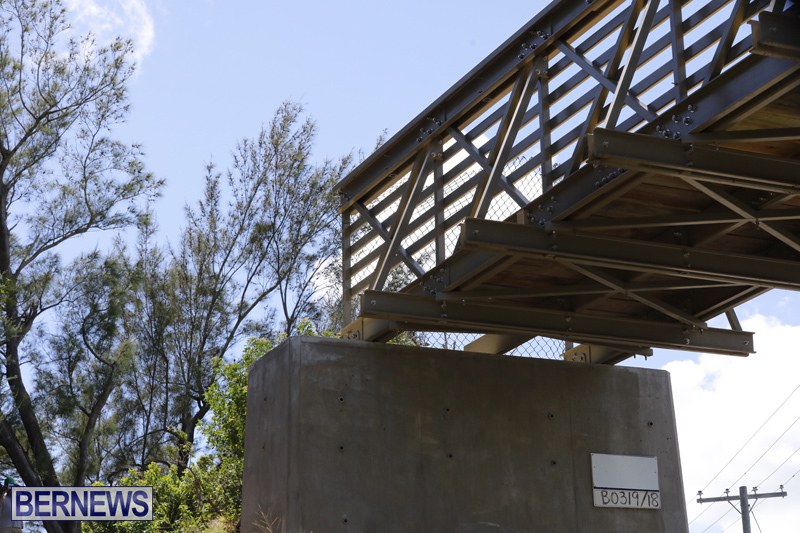 And even if the bridge traversing Flatts Inlet is completed, there’s still no convenient way for pedestrians to reach Flatts and the Aquarium from North Shore Road. No room to create any sidewalk or other pathway to those attractions. Ain’t nobody gonna walk anywhere – this is Bermuda and where will they park their bikes and cars? Didn’t think of that did you sunshine? Just dumb and waster of money! Yes. Fish chips and tarter sauce. Three courses.